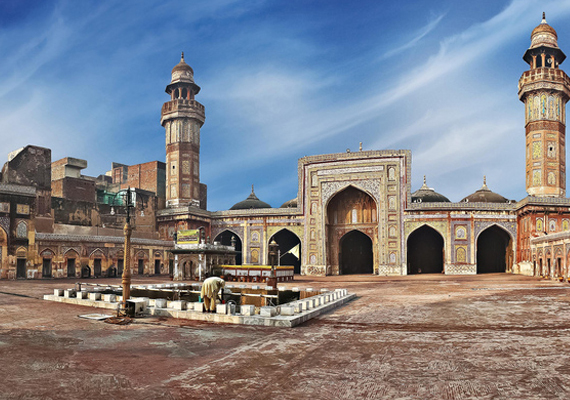 The Wazir Khan Masjid is a Mughal era mosque, built by the famous Subehdar (Governor) of the Punjab (1041/1632), Hakim Aliuddin in 1634 on the site of the tomb of Syed Muhammed Ishaq (often referred to as Miran Badshah), a saint who had migrated from Iran in the 13th century. It is located about a furlong from the Delhi gate and off the Kashmiri bazaar (marketplace). 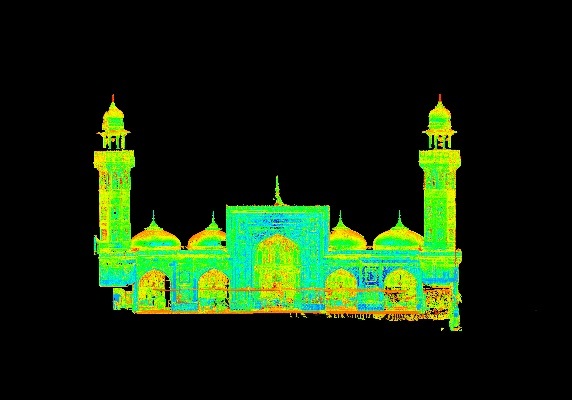 The mosque was so located in the centre of the city that all the major routes and bazaars were linked with it at right angles. The towering octagonal minarets of the Masjid Wazir Khan, a distinctive feature of this Mughal era site, lured in tourists and pedestrians traversing the bustling bazaar. 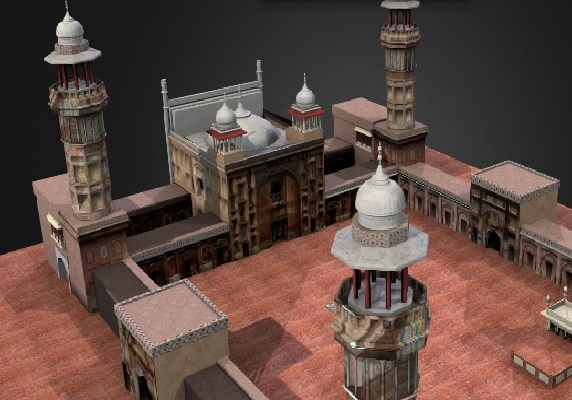 Wazir Khan’s mosque is a site of great historical importance, serving as the imperial Jamia Masjid, utilized by the emperor and his grandees and large retinue to offer Friday prayers. Moreover, the northern and the southern sides of the main court of the mosque have eleven rooms each which probably were reserved for the library attached to the mosque, indicating that apart from serving as a place of worship, this mosque also served as a college. The extraordinary blend of calligraphy, geometrical forms and floral decoration along with large-scale scintillating kashi kari (tile mosaic), fresco painting, stone and chunam (plaster) decoration, with taza kari (brick outline fresco), adorning the structure lend the mosque a unique character which is entirely its own. Lockwood Kipling was not far wrong when he declared “This beautiful building is in itself a school of design”.